I’m over at The Bookcast today talking with Bill about All That Is Necessary, Exeter and just what happens when past and future collide. As always, Bill does a great interview, and it was fun to be on the other end of the questions for a change. He and I also talked after Thrown Out was published, and you can see that interview (and one with Roz Morris) down the bottom of the page. 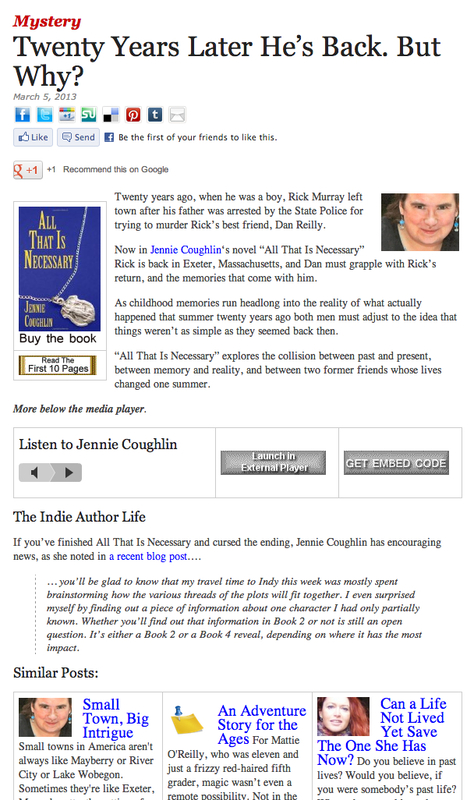 Author Maggie Duncan is hosting me over at her blog for an interview about All That Is Necessary and the Exeter series in general. As befitting a former editor, she asks tough questions. Duncan is the author of Spy Flash, a collection of Rory’s Story Cube Challenge entries, as well as Fences and Blood Vengeance. All three are short-story collections. Memorial Day is one of the days each year that I actively miss New England. Most days, if you ask, I’ll agree that I miss living there, that even after 10 years in Virginia it’s still only home, not Home the way Massachusetts will always be. But there are a few days that it’s impossible to forget, and Memorial Day has always been one of them. Today, all the Scout troops, veterans groups and school bands in towns all across Massachusetts are lining up for the annual Memorial Day parade. I marched in my first in first grade, with my Brownie troop. 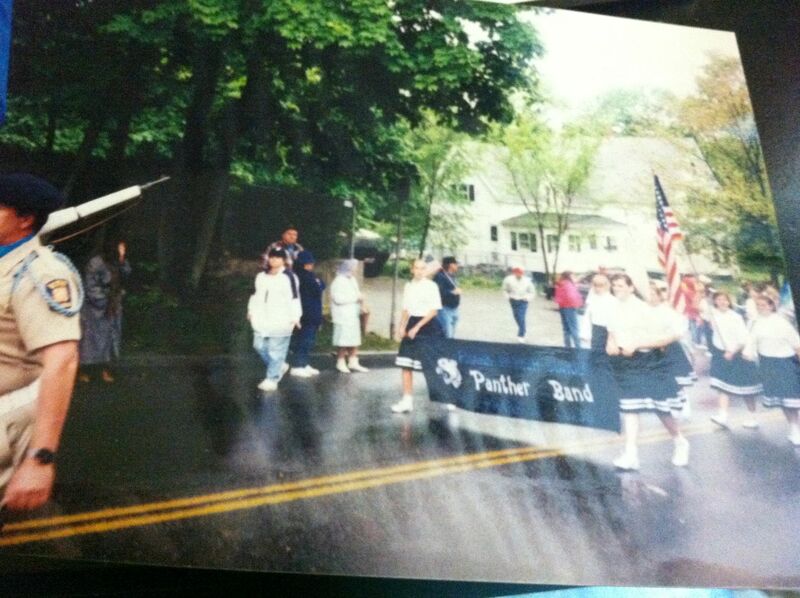 My last was 2002, the same year I moved to Virginia, when I was helping with the high school marching band. Every year was the same. We would line up in the parking lots of the original Town Hall, then the senior center, now the town museum; and the original high school, then the municipal building, now home to the town planning and engineering departments. The parade would head down the street to the railroad bridge, then turn to go through downtown on Main Street, past the post office. The college was the first stop: Words to remember the fallen, laying of wreaths, a 21-gun salute and Taps by the high school band. Silence throughout, remembering those who gave their lives.